Milk comes from cows. I got some milk from some cows not too far from here from a family friend. 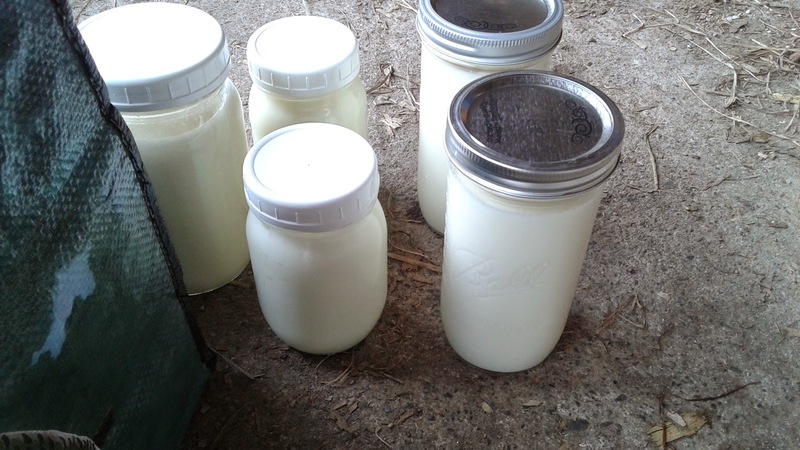 This family friend is embarking on a dairy farming adventure. 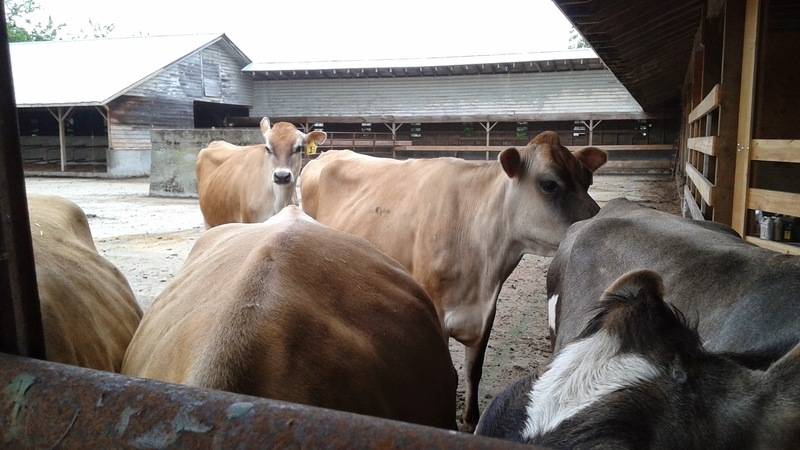 There aren’t many cows being milked yet and the parlor isn’t quite ready so the milk goes into a giant metal milking bucket. 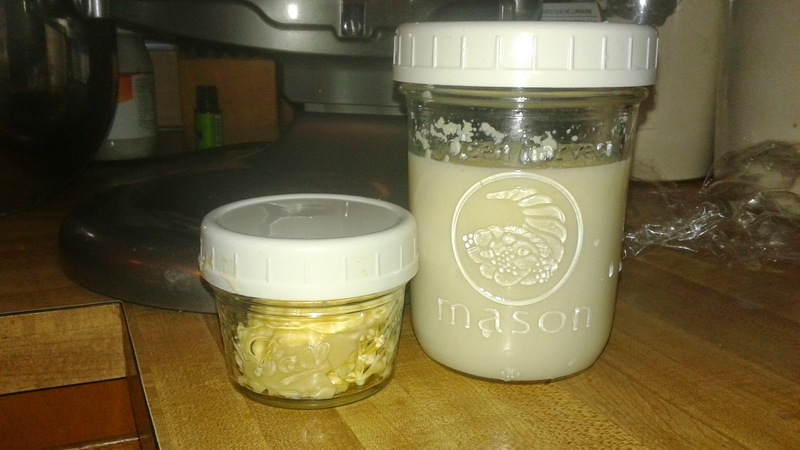 Some of that milk made it into my mason jars. Some of it went to the new calves. 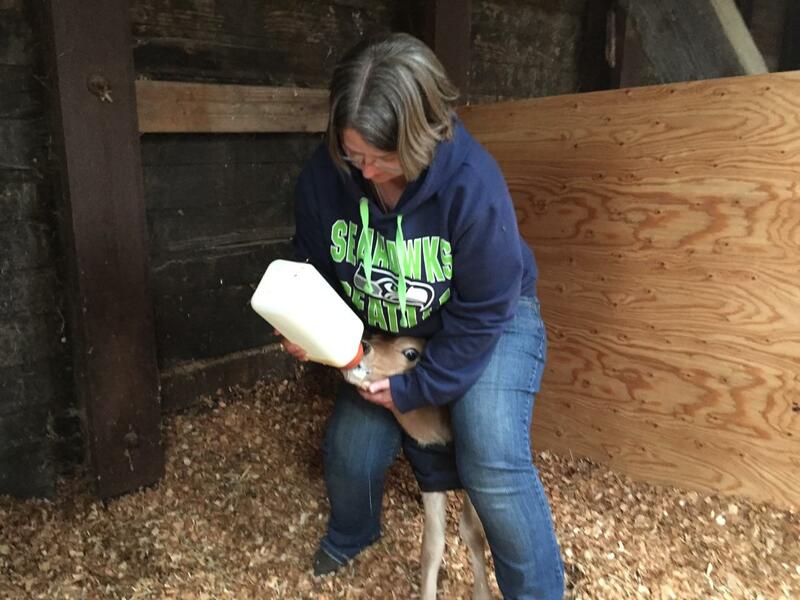 I got to help by feeding one of the calves. 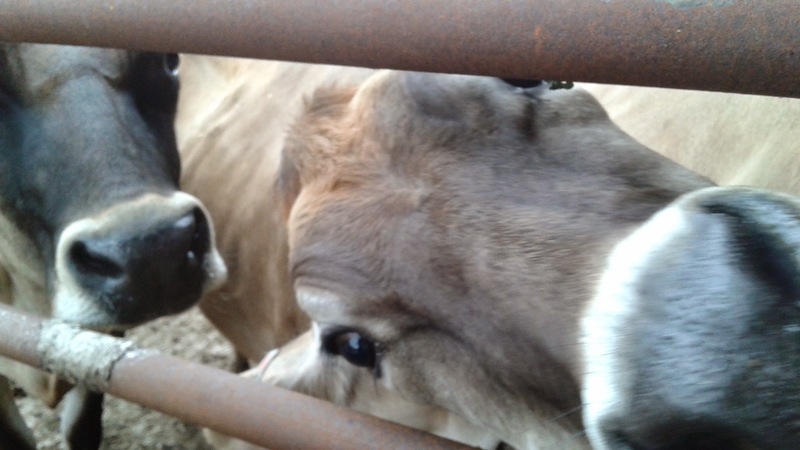 As you can see, you must put the calf into a headlock while feeding. We put the milk into the cooler with the beer we brought to drink while watching our friend milk the cows. I let the milk sit in the fridge for a day or two then carefully took some of the cream off the top. I ended up with about a pint. 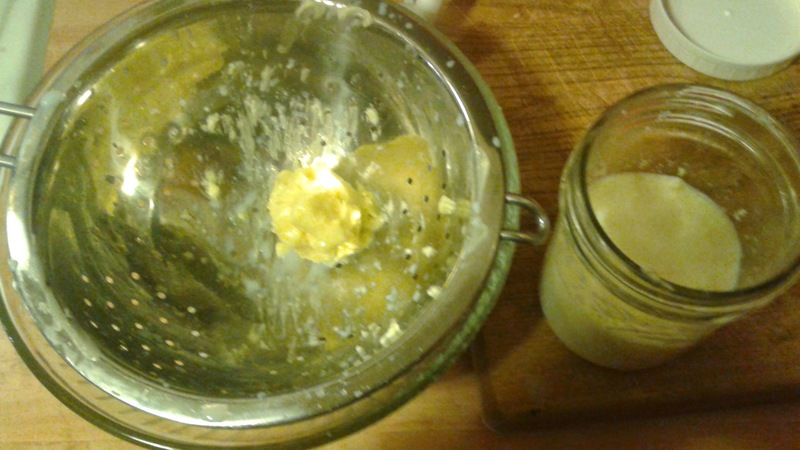 I researched making butter with a Kitchen aid mixer. 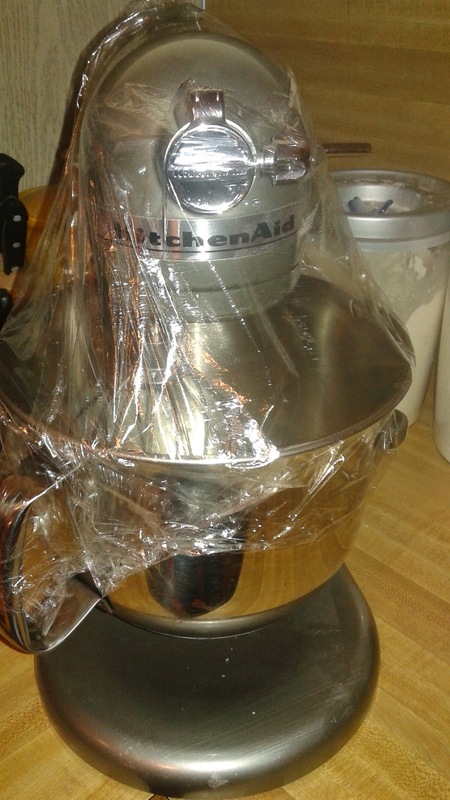 Since I only had a pint it wasn’t really necessary to cover the mixer with plastic wrap. Had I 6 cups of cream, like the recipe called for, I image the buttermilk would have splashed all over. I got a bit over a golf ball sized ball of butter and about 1 1/2 cups buttermilk. 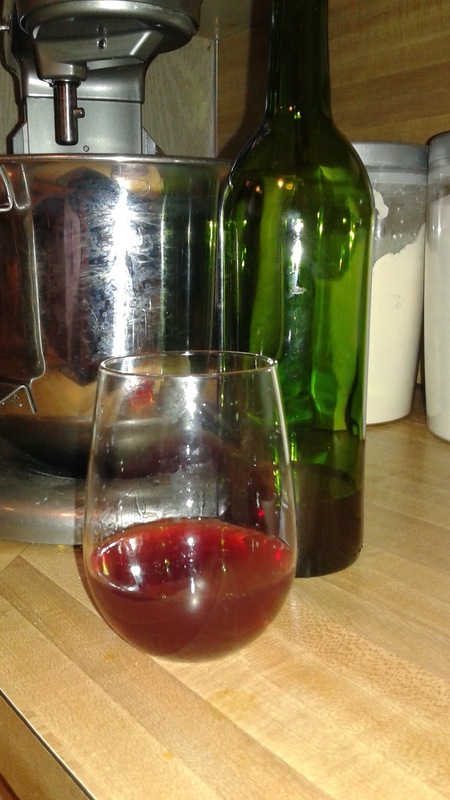 The wine is apple-plum from my fruit trees and was for drinking while making butter. With the buttermilk I made buttermilk biscuits, which was a first for me. 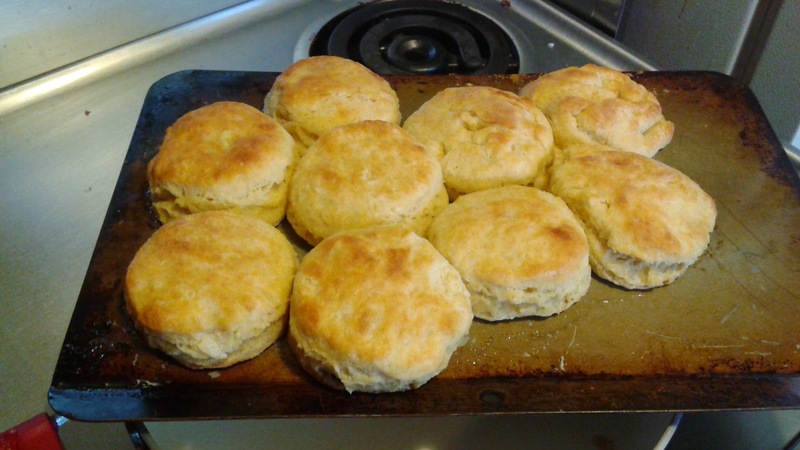 I never have buttermilk on hand so usually make biscuits with regular milk and baking powder. I used the buttermilk that came from making the butter in the mixer for this. 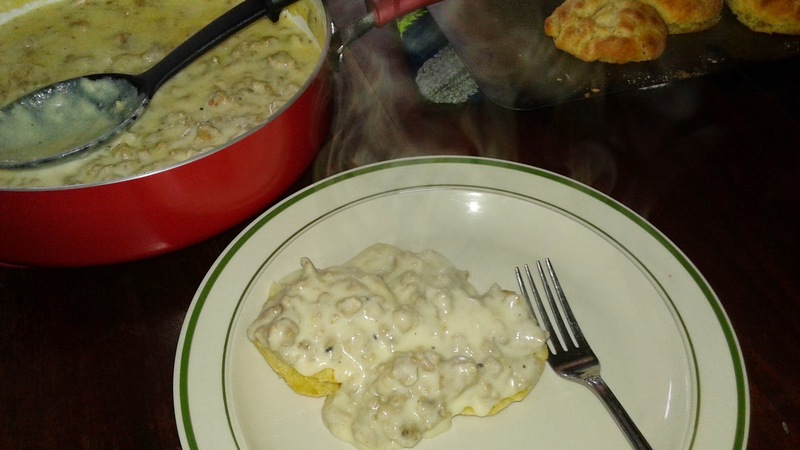 To go with this I made sausage gravy with milk from the cows that live not too far from here. I used the butter this weekend on my corn-on-the-cob which worked out perfectly since it was on the salty side. I haven’t bought milk at the store in over a week. I made butter, buttermilk, buttermilk biscuits (and gravy) and still have milk for other cooking adventures (like macaroni and cheese). I don’t think any of the kids drank any milk in a glass but they did eat the biscuits and gravy. I love that I know exactly where this milk came from. I saw the milk come from the cow, then to the jar, then to my fridge. I love that I used so much of this milk for new cooking adventures. My next planned cooking adventure is making mozzarella cheese. Good thing I have more wine in the basement. This entry was posted in animals, food and recipes and tagged butter, buttermilk, buttermilk biscuits, cows, cream, dairy farming, eating local, food, milk, wine. Bookmark the permalink.